This was painted en plein air at the 2012 San Luis Plein Air Festival, where I was one of 30 invited artists from around the US. It is being entered in the Better Late than Never "Plein Air - Water" show. 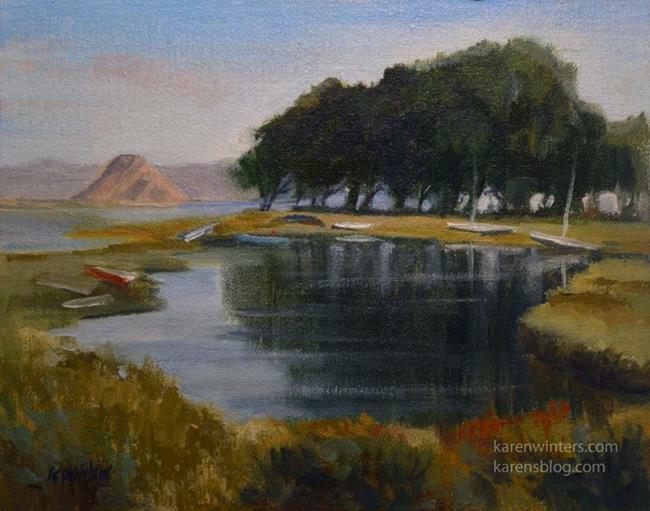 The painting depicts a view of Morro rock and Morro Bay in San Luis Obispo County, California.